A site for our own product! 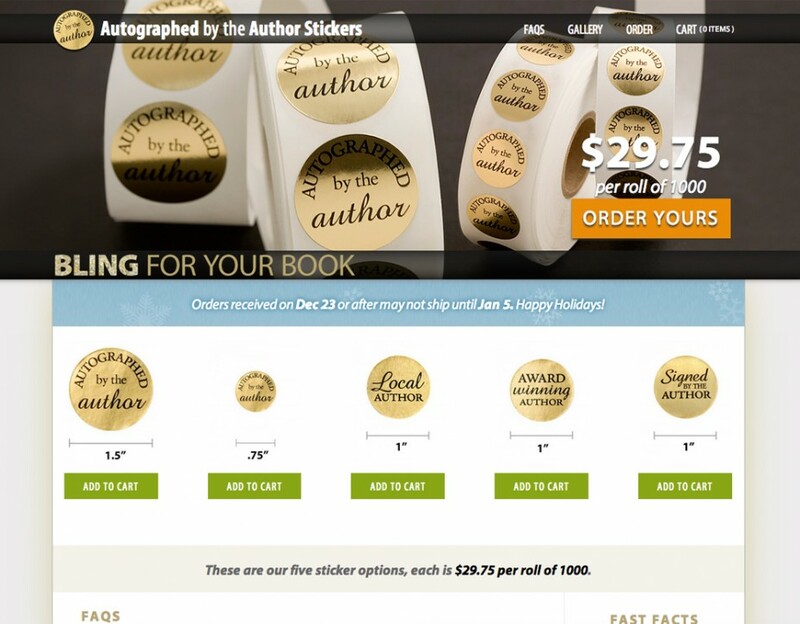 We produce these stickers for author toolkits. Check out the four designs and see how easy the check out is. Notice our link for booksigning tips.